Does the Governor General's wife know who's coming to dinner? Her Excellency Sharon Johnston, wife of the Governor General of Canada, is coming to dinner at the Ottawa Muslim Women's Organization for its 12th Annual Festival of Friendship Dinner Sunday evening. The proceeds are to benefit the Royal Ottawa Foundation for Mental Health, which raising funds for the Royal Ottawa Hospital. Sounds good, right? Dignitaries, like celebrities, regularly do their bit for worthy causes, and this, unquestionably, is a worthy cause. Except there are some who question if Ms. Johnston is being used to lend legitimacy to a radical Muslim "camouflaged as a moderate." In a report published Friday by the Washington-based Investigative Project on Terrorism, Ottawa lawyer David B. Harris observes that the dinner's keynote speaker will be Ingrid Mattson, who holds the chair of Islamic Studies at Huron University College in London, Ont. The college is an institutional affiliate of the University of Western Ontario. Mattson, a convert from Christianity to Islam, was president of the Islamic Society of North America (ISNA) from 2006 to 2010. Harris points out that the United States government designated ISNA as an unindicted co-conspirator in the successful Holy Land Foundation terror-funding prosecution. ISNA is also included in Muslim Brotherhood literature as one of the "organizations of our friends." According to Harris, a member of the advisory board of the Council for Muslims Facing Tomorrow, ISNA has been connected to the Brotherhood. And he notes that a Muslim Brotherhood plan for North America introduced and accepted as evidence in a U.S. criminal court. states: "The process of settlement is a 'Civilization-Jihadist Process,' with all the word means. The Ikhwan [Muslim Brotherhood] must understand that their work in American [sic] is kind of a grand Jihad in eliminating and destroying the Western civilization from within and sabotaging its miserable house …"
Harris, director of the Ottawa-based International Intelligence Program, INSIGNIS Strategic Research Inc., also refers to a joint statement from representatives of the moderate American Muslim Congress, Center for Islamic Pluralism, American Islamic Forum for Democracy and the International Quranic Center condemning "groups like ISNA, in which radicals are camouflaged as moderates." The statement especially warned Jews against linking up with ISNA because of the risk of "legitimizing a radicalism that, regardless of ISNA's rhetorical claims, is fundamentally hostile to Jews and suppresses the intellectual and social development of Muslims." Mattson, he says, "has been criticized as an "apologist for Wahabbism, the Islamist strain that fuels the Islamic-supremacist theology of Saudi Arabia." 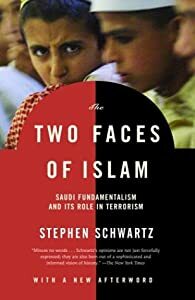 Indeed, Stephen Schwartz, executive director of the Center for Islamic Pluralism and a former institutional historian of the National Endowment for the Arts, in a Feb. 2011 article in the magazine American Thinker, observes that "Mattson's radical record includes endorsement of the 'Islamic reformation' image projected by the adherents of Saudi Wahhabism (even though Wahhabism is the theological inspiration for al-Qaeda), false claims that Wahhabi clerics have uniformly denounced terrorism, and denial that terrorist cells operate in the U.S.
"In the immediate aftermath of the atrocities of September 11, 2001, Mattson joined in efforts by academia and media to distance Islam from terrorism," says Schwartz, himself a convert to Islam and the author of The Two Faces of Islam: Saudi Fundamentalism and Its Role in Terrorism. "As described by Washington Times religion writer Larry Witham in reportage published on September 24, 2001, Mattson hurried to articulate the claim that armed jihad refers only to 'defensive' combat. It is appalling that a leading academic on Islam, with credibility in the White House and other exalted venues, should have supported this deliberate falsification of Islamic history; armed jihad to spread Islam is a well-established concept in Muslim theology." According to Harris, Mattson's Huron College chair endowment benefits from contributions from two groups: the Muslim Association of Canada and the Virginia-based International Institute for Islamic Thought. In testimony before a Canadian Senate committee on Feb. 3, 2011, Harris noted that the Muslim Association of Canada has "boldly declare[d] on its website its allegiance to the tradition of Hassan al Banna and the Muslim Brotherhood – the organization causing dread in Egypt and beyond." Harris wonders whether the Governor General's office was aware of Mattson's background or did staff fail to check up on her. "Will the Office of the Governor General explain itself, and how the Governor General's spouse could have been drawn into such a situation?" Something for the GG's wife to chew on, perhaps.